The College’s awards and bursaries provide students with financial help towards the cost of their learning. The awards, instituted at the generosity of benefactors over many generations, can contribute towards the cost of tuition, sheet music / music books and other expenses. In addition, the College welcomes the opportunity to promote scholarships and awards made available to organists by other organisations, and to signpost sources of further information. It should be emphasised that these awards are intended to support students in serious organ study, and in particular study devoted to the attainment of the College's diplomas. Applications are invited three times a year by the following deadlines: 1 February, 1 May, and 1 October. In certain circumstances, applicants may be advised that an application is being held over to a subsequent deadline. All of these awards and bursaries have been instituted as a result of the generosity of benefactors, and the College is always ready to receive further benefactions for this purpose. Gifts, either from the living or by legacy, may be used to augment existing endowments or, where sufficient, to institute new awards. Information about making such benefactions may be obtained from the College's Chief Executive, Sir Andrew Parmley, at andrew.parmley@rco.org.uk. These bequests, each of which is available to more than one applicant, assist people who are training to become organists and/or choral directors. Grants may be used towards the cost of lessons with approved teachers, for short courses and other events. They are usually awarded in respect of one College year but consideration may be given to applications for a second year or a further award. There is no upper or lower age limit. These awards, each of which is available to more than one applicant, will normally be made to full-time music students (i.e. students pursuing to some extent organ and/or choral directing studies) at undergraduate or postgraduate level. They may also be used towards the cost of additional courses or lessons for which the holder receives little or no other funding, and may be used in this country or abroad. Two or more of these awards may be combined in the case of an outstanding applicant. They are usually awarded in respect of one academic year but consideration may be given to applications from students for a second year or a further award. There is no upper age limit. This award is tenable by any organ student for up to three years. The income is to be used towards tuition fees and/or the purchase of music. Named after the first lady Fellow of the College, this award is open only to female organists and tenable for one year at either the Royal College of Music, the Royal Academy of Music, or the Royal Northern College of Music. This award is tenable at the Royal College of Music and the Royal Academy of Music by alternate holders and may be held by any one student for up to three years. This award is tenable at the Royal Academy of Music and by a male exchorister and may be held for up to three years. To be competed for annually by female organists under the age of twenty-one. Test pieces should include an allegro movement in trio form by J. S. Bach, a nineteenth-century florid piece and an advanced sight-reading test. Up to two scholarships are available at each College examination session in order to enable a deserving candidate at ARCO and at FRCO to prepare (via RCO Academy and/or RCO Academy Organ School), sit and on success proceed to Conferment without cost. At its discretion, and in a case where some or all of the preparatory criteria have been met, the College may also award this scholarship retrospectively to a successful examination candidate. This award has been founded in memory of a former President, Treasurer and Examiner of the College. This is available to any organist under the age if twenty-five living in the United Kingdom, for the furtherance of the study of the organ, particularly with the intention of taking any College examination. Preference will be given to those living, studying and working in Oxfordshire, Buckinghamshire or Northamptonshire. This award has been founded to assist persons who are training to be, or who are studying, organ music and are resident in the United Kingdom. A preference will be given to persons who are, or have been, resident within the principality of Wales. Applications will be considered for grants towards graduate and postgraduate studies in the UK or abroad and also for grants towards local courses of organ lessons with teachers approved by the College. Tenable only by students whose home is in either Devon or Cornwall. This scholarship is available annually to a student in higher education pursuing an undergraduate or postgraduate course related to organ playing and/or choral direction, or pursuing vocational training as an organist and/or choral director. This scholarship is available annually—or in compelling cases for a continuous period of up to three years—to a student pursuing an undergraduate or postgraduate (taught or research based) course related to organ playing and/or choral direction. Value: The equivalent of two years of RCO full or student membership, the fees of a selection of RCO-delivered courses and tuition (the programme to be chosen by the successful applicant and agreed by the College), and all relevant accreditation and conferment fees. All payments will be made internally on the successful applicant’s behalf—no cash payments will be made. 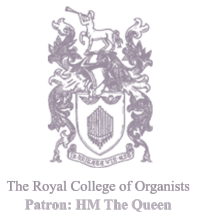 This scholarship offers financial support for the rapid completion of accreditation in organ playing at both Associateship (ARCO) and Fellowship (FRCO) via RCO Academy’s education programme. An applicant should be advanced in her/his preparations for sitting Associateship at the time of application. The pursuit of Fellowship is obligatory, and it must take no more than two years to secure this qualification from the date of the award. The recipient’s progress through the accreditation and educational programmes will be subject to review, and the two-year period of the award is unlikely to be extended in other than exceptional circumstances. The award is available to one RCO member per College year (there will be no more than two scholarship holders at any one time) and will be awarded after adjudication. Applicants are required to submit authenticated audio-visual material of a performance of two pieces for the purposes of the adjudication. One piece must be selected from the Bach repertoire list (List A) in the current ARCO regulations, and the other may be chosen from any of the other ARCO repertoire lists or, alternatively, be a free choice of around ARCO standard. Guidance on the submission of audio-visual material is published with this factsheet on the Awards and Bursaries webpage. The required authentication form (also available on the webpage) should also be submitted. This award has been founded in memory of William Harry Gabb CVO (1909–95), who held during a distinguished career the position of SubOrganist, St Paul’s Cathedral (1946–74) and the post of Organist, Choirmaster, and Composer at the Chapels Royal in St James’s Palace (1953–74). Harry Gabb was a Professor and Examiner of Organ Playing at Trinity College of Music (1946–88), and was for many years a member of the RCO council. Click here for the Guidelines on Submitting Audio-Visual and Digitised Material for Assessment and Click here for the Authentication Form. Applicants are required to be members of the College with an age not less than eighteen and not more than twenty-six years of age. They may be of any nationality but must ordinarily be residents in the United Kingdom or Republic of Ireland. The successful applicant will be expected to spend a minimum of eighteen days examining and playing organs on one or more European Countries and to take at least one consultation lesson with a recognised teacher of high repute. On return to this country the holder is required to write a dissertation on what he or she has discovered from the experience. Short-listed candidates will be asked to attend an interview at the College. The College has been asked to share information regarding the scholarships listed below. A closing date (if notified) is given at the end of each entry. For more information on these opportunities, please contact the organisation(s) concerned. Gordon Reynolds Organ Scholarship tenable from September each year for one year (renewable). Suitable for a pre-university, conservatoire/university or postgraduate student, this is intended as a training experience, with the job description tailored to the successful candidate. A fluent and proficient level of playing is expected (particularly in the accompaniment of hymns) and an ability to improvise is desirable. Closing date for applications usually the end of June (29 June in 2018), with auditions in July. Full details from www.chapelroyal.org. Grants to aspiring professional organists for special projects (attending master classes, summer schools, or special lessons from a distinguished teacher outside normal ongoing tuition). Annual scholarship (funded by Flentrop Orgelbouw) also available for a young organist to spend two weeks in their Zaandam workshops, learning the rudiments of organ building and having lessons on some of the Netherlands' most famous instruments. The Trust also offers an annual award of up to £5,000 for a project related to the organ. For full details visit the Trust’s website at www.organtrust.org. Deadline for receipt of grant applications: 31 May and 30 November annually. Deadline for Flentrop Scholarship and Annual Award: 31 May. Finzi Scholarships are awarded annually follwing an application process which includes interview. The Scholarships aim to give opportunities for broadening horizons or taking a new path: their focus is arts based in the widest sense, but proposals must have a musical foundation. Projects might show a creative initiative or could involve engaging in some practical experience, education or research, perhaps giving a personal change of direction. Whilst the Trust particularly supports those it categorises as ‘young’, eg. students and those at an early stage of their career, candidates aged between 18 and 80 and resident in the UK at the time of application are all welcome to apply. Formal qualifications are not necessary. Applications are welcome from trained musicians, but equally, previous professional experience is not a pre-requisite. Finzi Scholarships are not awarded for attendance at courses, for the support of academic degree courses, nor for the provision of student grants. Group applications are not considered. C losing date for applications is mid-January (18 January in 2019). See also www.bromptonoratory.co.uk . The Nicholas Danby Scholarship, value £6,000 per annum, is awarded biennially to a postgraduate organ student of exceptional promise, enabling him/her to undertake conservatoire study outside his/her home tradition for up to two years. The scholarship is therefore open to students from music colleges in the UK for study elsewhere in Europe, and to conservatoire students from other European countries who would like the opportunity to study in the UK. The trustees aim to help scholarship holders at the beginning of their careers, through securing recitals in prestigious venues and by offering sound professional advice. Scholarship awarded annually for a young church musician who wishes to develop existing skills under the guidance of the Director of Music who will also arrange regular tuition as part of the scholarship. Ideally suit a sixth-former, but age-range is 14–21; Grade 6 standard (or equivalent) expected. Exact duties will be tailored to the successful candidate but will include liturgical playing, accompanying and choir-training. Applications to be received by 30 June; auditions/interviews early- to mid-July. Full information at www.stmaryssaffronwalden.org; all enquiries to the Director of Music: domstmaryssw@gmail.com. The Parish of St Mary’s, Primrose Hill, intends to appoint an Organ Scholar for one year from 1 September 2018. The appointment may be renewed at the discretion of the Vicar and PCC, upon the recommendation of the Director of Music, for a further year. The scholar is to participate in, and further develop, the Church’s musical life in accordance with the traditions of St Mary’s and under the direction of the Director of Music. The Collegiate Church of St Mary and King's High School, Warwick, makes an annual appointment of a Graduate Organ Scholar & Music Assistant, tenable for the academic year. The post is ideally suited to someone looking for further liturgical experience alongside school life. The successful candidate will play a full part in the musical life of both the Church (recitals, training choristers, accompanying, conducting, etc.) and the School (particularly accompanying, involvement in ensembles, opportunities for coaching, etc. ), and will be offered subsidised accommodation as well as a salary. Applications invited each September/October to start the following academic year. St Mary Magdalene Choral Foundation: Senior Organ Scholar 2018-2019, value £2,000 plus fees. The position of Senior Organ Scholar involves assisting the Director of Music of St Mary Magdalene, Richmond, in all musical aspects of the services and rehearsals. There will be many opportunities for playing, conducting and contributing to the general running and organisation of the music department, which may include some work in managing the choir library. The scholarship can be designed to suit each candidate’s needs, focusing on conducting, playing, or a balance of the two. Closing date for applications 1 September 2018, audition and interview 8 September. St John’s Church, Notting Hill, seeks to appoint an Organ Scholar for the academic year 2018-19, beginning in September 2018. The scholarship is open to male and female candidates of all ages. The Organ Scholar plays a vital role in the musical life of the church. The primary responsibility will be to accompany the weekly Parish Eucharist, and to accompany Choral Evensong once a month. The Organ Scholar will have the chance to develop their skills and techniques as a church organist and choral accompanist, being exposed to a wide range of repertoire and music. There are also potential opportunities to develop skills as a conductor under the supervision of the Director of Music. Organ scholarship offered jointly by St Marylebone Parish Church and the St Marylebone CE School, running for the academic year September to August. Fluent playing expected with some experience of liturgical accompanying; both p/grad and u/grads considered. Church has a fine organ, professional and youth choirs; tuition and guidance offered from Director of Music. Applications to be received by beginning of March; interviews mid March. £2,000 per year, open to music students with organ as their first-study instrument. Duties include recitals, official occasions, directing the University Chapel Choir and playing a full role in the musical life of Beverley Minster. Visit www.beverleyminster.org.uk for more information on the organ specification. As their website says: ‘There’s funding out there but it takes some tracking down’. Use the funding wizard at www.helpmusicians.org.uk/emergingmusicians/funding-wizard to identify grant giving bodies relevant to your needs and situation. Visit grantsforindividuals.org.uk/default.aspx and click on the ‘Search for funding’ tab. Information can be found in the publication MMA Music Directory published by the Music Masters’ & Mistresses’ Association. Quite a number of schools have dedicated organ awards. Look up www.mma-online.org.uk for further information.